The Main Arsenal at the Springfield Armory, seen around 1910-1920. Photo courtesy of the Library of Congress, Detroit Publishing Company Collection. Springfield had long been a center of production for US military firearms, beginning in 1777, during the American Revolution. 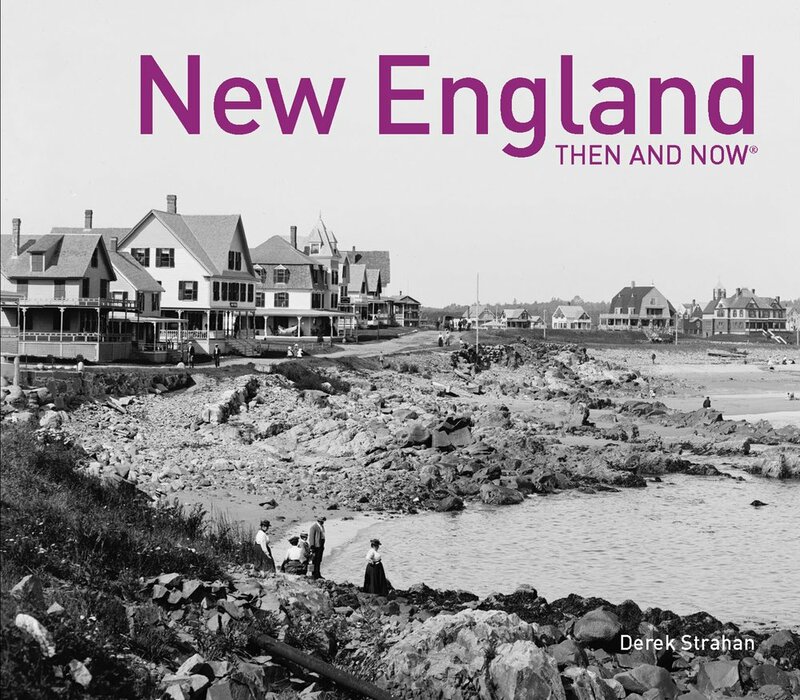 The need arose for a suitable location to manufacture and store arms and ammunition, and several sites in New England were considered, including Brookfield Mass. and Hartford. However, in the end General Henry Knox recommended Springfield, and George Washington agreed. 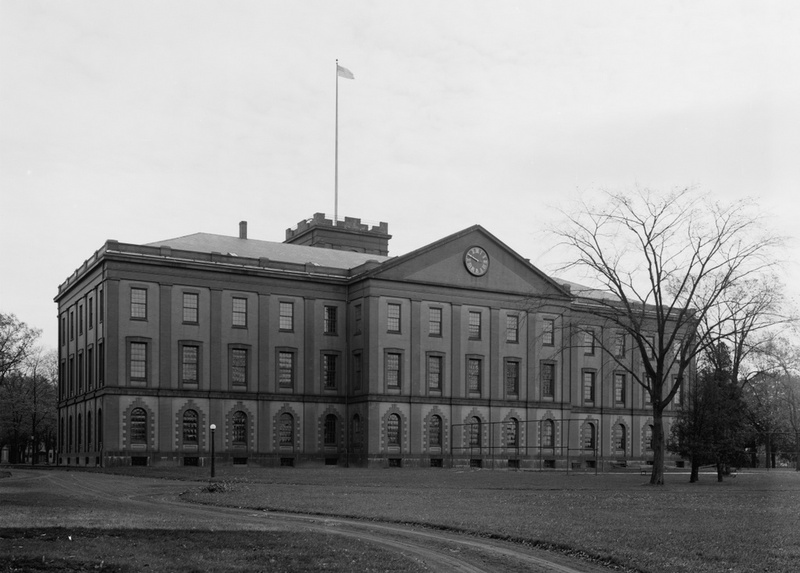 Perhaps Knox had recalled passing through Springfield in early 1776 while bringing cannon from Ticonderoga to Boston, but either way he determined that it was the best location. The location of Springfield was particularly valuable, as it was along several major roads, leading to Boston, Albany, Hartford, and other points south. The Connecticut River and several major tributaries were also an advantage, although unlike at Hartford the river was not navigable by ocean-going vessels at this point. This had been one of the strongest arguments in favor of Hartford, but it was also one of the main weaknesses of the Hartford plan – British ships could easily sail up the river and attack. 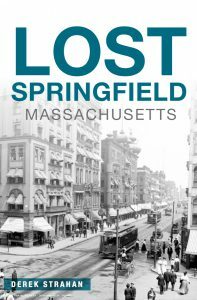 Springfield’s location, some 20 miles north of the head of navigation, meant that the town was secure from British naval attacks. Another important feature in Springfield is the hill that the Armory is located on. Situated on a broad plateau above the downtown area, the Armory is only three quarters of a mile from the river, but is about 150 feet higher in elevation. In the unlikely event that Springfield was attacked, this would have been an easy position to defend. However, while the Armory itself dates back to the 1700s, most of the buildings on the site date to the mid 1800s, including the main arsenal seen in these photos. 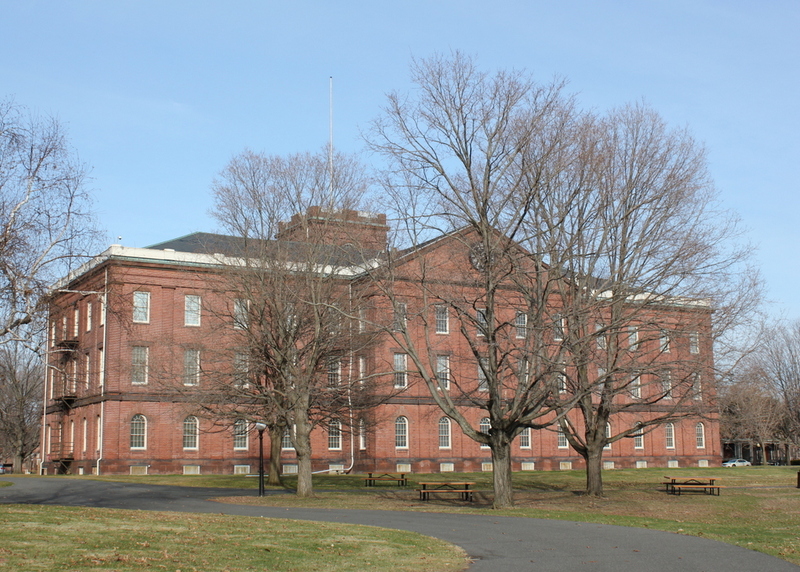 This building was built between 1847 and 1851, and it served as a storehouse for the weapons produced at the Armory. It was built during the Mexican-American War, and it played a vital role in the Civil War just a decade later. Springfield had been one of two federal arsenals prior to the war, with the other being at Harpers Ferry, Virginia. Since this facility was lost early in the war, Springfield became the primary manufacturing center for Union firearms. It continued in this role throughout World War I, World War II, and even into the Vietnam War before its closure in 1968. Today, the Armory is National Historic Site, and is also home to Springfield Technical Community College. The arsenal today hasn’t changed much since its completion in 1851, although today it serves as a museum run by the National Park Service.